Welcome to Ken Hills Photography. My specialties are motorsport, nature and landscape photography. I am a firm believer that you must understand a subject to be able to capture it honestly. As you look at my images, I believe you will find this to be the case. Motorsports: I have worked in the motorsports industry and attend a significant number of professional and club racing events annually. I am not only a photographer but have also worked as a series manager and crew member. I have held crew licenses in Grand Am, SCCA, PCA and NASA). I am currently a photographer for In the Pits Media, LLC and member of the "Pit Crew" on their podcast discussing motorsports subjects. I was also the Chief Operating Officer and head photographer for the Intercontinental Trophy Cup (ITC), a Porsche Cayman spec race series. 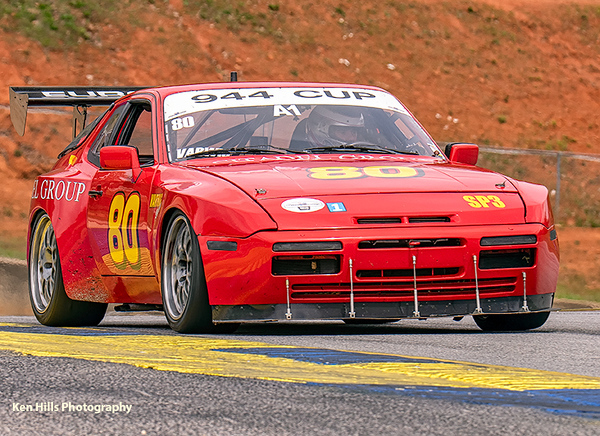 The galleries here contain images from professional and club racing events (Intercontinental Trophy Cup (ITC), IMSA, Grand Am, NASA, PCA, SCCA, NARRA, HSR, VRG and FARA). I've also photographed special events in off track environments. Nature: I photograph birds and other wildlife in their natural environment. Landscape: I capture a variety of terrains to show their natural beauty and uniqueness. Please let me know what you think. Your comments and suggestions are always welcome. I can be reached at kennerh@yahoo.com.